Dr. Doug Rogers is an associate professor in the department of Curriculum & Instruction and a member of the graduate faculty. His teaching experience and scholarship are in the field of educational technology and its application to the teaching and learning processes. From 2004 to 2016, he also served as associate dean in the School of Education at Baylor University. Prior to joining the dean’s office and serving as interim dean during 2006-07, he served as the Director of the School of Education’s Center for Educational Technology. Dr. Rogers presents at the national and state levels regarding the integration of technology and learning, especially as it relates to teacher preparation candidates. 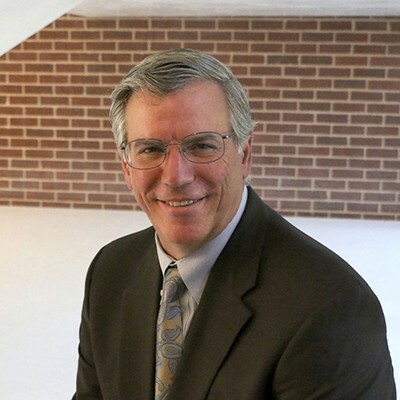 He has consulted for a number of school districts in Texas and has participated as principal or co-investigator in a variety of local, regional, and national collaborative technology projects totaling more than one million dollars, funded by the Texas Education Agency, the Texas Infrastructure Fund Board, and the Department of Education. Dr. Rogers is the 2017-18 president of the NAPDS (National Association for Professional Development Schools, whose offices are hosted in the School of Education at Baylor, and was elected by a vote of the full membership. He also serves as a reviewer for the NAPDS journal, School-University Partnerships, and was previously CFO of NAPDS. Dr. Rogers has served on the boards of other national organizations such as AECT (the Association for Educational Communication and Technology) and was the executive director of the state affiliate TAET (Texas Association for Educational Technology). He frequently serves as a mentor and speaker in the Association for Teacher Educator’s (ATE) emerging scholars program.